Investing in Real Estate is one of the most tough and important decision in one’s life. Everybody knows what investing in real estate means, but very few do it correctly. 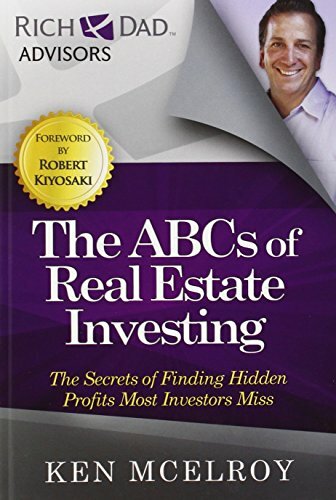 Below you will find some important tips on how to invest in real estate. 1. It is a tangible and immovable asset. 2. The real estate value will never be so low as to be Nil. No matter what the economic situation may be , your investment will always have some value. 3. Real estate is a localised market. Prices of properties depend on location, amenities like schools, hospitals, colleges, parks and the overall development and connectivity of that particular place. 4. It is very liquid in nature. It means it takes time to sell your property and get cash for it. This is one of the major hindrance for investment in real estate. 5. You need to regularly maintain your property by painting, repairs, taxes and insurance premiums. Land value never goes down:This is not true , as like any other investment , this also goes through market speculations , its high bubbles and low crashes. The only difference it that the land value will never go to zero. Land appreciates more than flats or apartments: Real Estate is made up of two important part. The land part and the structure part. The land part will appreciate over a period of time but the structure part will depreciate over a period of time. Land is often bought as capital gain asset with an intention to sell after period of time while flats or apartments are bought with an intention to rent out and get regular returns. Real Estate is the best investment: Most of the people fall for this statement. This is not true. Just like any other investment decision, this also has its unique features, risks, advantages and disadvantages. Renting or Owning the property – Difficult proposition. Most of us will be led to believe that buying a house is a good decision. It may be true to a certain extent. But every property decision depends upon your need and the situation that you are facing. You need to understand whether you want invest in real estate or other modes of investments like stocks, bonds, gold which are more liquid. If you are currently not stable in your job , but are on move always and have not decided any particular place to settle then it is better for you to take a rental accommodation. Your home will always provide you comfort and permanent place for you and your family to grow. You have the freedom to renovate and decorate it as per your will. When you buy a property, you have two main considerations , either it is for your personal accommodation or for investment purpose. When you buy a property at a cheap rate and hold it for a period of time and then sell it at an appreciation , it is an capital gain. Since it is an capital gain , you need to pay capital gain tax on it. After paying your tax , the remaining is your profit on this transaction. Finally there is no clear or right answer while making the real estate investment decision. There is a choice to be made between the tangible and intangible factors depending upon your situation. It is important to understand your needs and other important factors before making an informed choice in investing in real estate. For more information check out the resources below. Did you like the article above and want more tips delivered straight to your inbox every week? Consider subscribing to our weekly newsletter.